The BS M&T is a unique new Program aimed at providing technology-oriented and management skills to business graduates. It is a 4-year Honors degree recognized by the HEC. The Program has a highly innovative design relying on a combination of management and technical courses which provide all the skills, tools, and knowledge base, for graduates to innovative and develop the entrepreneurial confidence to create value in the economy through new businesses as well as improving the performance of existing businesses. Students are exposed to the latest thinking, interaction with entrepreneurs and managers, experience through internships, as well as the rigor of an extended project. It also benefits from a world class faculty, all of whom have experience from the corporate world. BUSN 101 Business Communications: This course focuses on the need to develop verbal and nonverbal skills which assist a person in developing the confidence and articulation to project himself or herself to a potential investor. It focuses on speaking skills, relevant writing skills, grooming, and the ability to make informative presentations both within and outside the firm. The course uses a hands-on approach, combining lectures, role-playing, visual media, and cases, to improve the effectiveness of a “sales pitch”. It is intended for both entrepreneurs who wish to grow their businesses by approaching potential financiers and start-ups who need to convince angel investors or venture capitalists. The course also ensures that candidates become familiar with the terminology and “jargon” which is in use, especially in technology-related companies, and which enhances the quality of interaction with investors. BUSN 110 Quantitative Techniques for Business: Many entrepreneurs or potential entrepreneurs are unfamiliar with the use of quantitative techniques and their application to their businesses so as to provide necessary data for interpretation. This course introduces both mathematical and statistical tools used in business operations so as to improve the quality of critical analysis of the market place and the nature of the product or service that is being developed. The course covers elements of business mathematics as well as statistics, including an understanding of simple tools such as regression analysis to project conditions in the marketplace. The course places special emphasis on the ability of candidates to use software looking at marketing and financial data including SPSS and Excel. All these feature in well-developed business plans for potential investors. BUSN 125 Islamic Studies and Ethics: This course covers the necessary content for Islamic studies courses as prescribed by the HEC as well as adding a more managerial context by looking at the application of Islamic values to doing business. The topic of ethics is now an integral part of all business teaching and this course will ensure that students will understand how good citizenship can also lead to good management. BUSN 130 Macroeconomics of Pakistan: This course introduces candidates to an understanding of the economic environment in which they will be starting or expanding businesses, especially those with a technology focus. The course provides the tools and a conceptual and practical understanding for the candidates of macro-economic policy with special emphasis on monetary and fiscal policy, technology policy, trade policy, the role of conditionality imposed by donors, energy, and the growing role of China in the country’s economic landscape. BUSN 132 Managerial Economics: Managerial Economics is essentially microeconomics for business managers. It is a critical subject intended to create an awareness of how economic tools are an integral part of business decision-making and how these tools can be harnessed to create value. In this course conventional topics, like price theory, the theory of the firm, labor markets, etc. are examined from the perspective of their applicability to the operations of businesses, especially start-ups. Price theory explains the value addition of the provision of different products and services; the theory of the firm provides the basis of the optimal organizational form, and the labor markets influence the quality of human capital that is available for entrepreneurship. There is special emphasis on how technology impacts on the operational performance of firms, and how technology and innovation combine as a factor of production to create value, especially in the context of emerging economies. BUSN 140 Principles of Marketing: This is a fundamental course in sales and selling and in marketing. Contrary to popular myth, it is sales which are the locus of all business activity, and rather than being a subset of marketing, it is the driver for all marketing and other business efforts. This course provides an understanding of the critical linkage between marketing efforts and the impact on profitability. It deals with core concepts and tools to conceptualize and develop a marketing plan which will be a component in the overall business plan, as well as determine suitable channels for tapping into identified market niches. This is the sales part of the course. The course also teaches candidates how to measure the effectiveness of their plans and especially whether the correct market segment is being targeted in order to maximize value generation. All of this will be placed in the context of the correct sales approach for the existing business or new business to adopt to enter the value chain, as well as showing the central importance of sales in all business activity. BUSN 150 Accounting for Business: This is a very important course for those wishing to set up a new business or grow an existing business, especially in the area of technology. The accounting of assets and liabilities, the nature of equity, and the forms of financing are especially complex in start-ups and small businesses. When such businesses are combined with the technology sector, we are faced with more complex issues related intangible assets and the provision of services. This course aims to clarify to the candidates how to understand a set of financial statements as well as how to develop financial statements in accordance with International Accounting Standards. This is critical when making presentations to potential investors. BUSN 170 Principles of Management: This course introduces students to the four key elements of management, namely: controlling, organizing, planning, and leading. Students are exposed to both theory and practice beginning with traditional models of management and looking at more unconventional managerial roles in the wake of the advent of tech companies. There is a strong emphasis on culture specific dimensions which will allow students to relate the concepts to the context in which they expect to work. 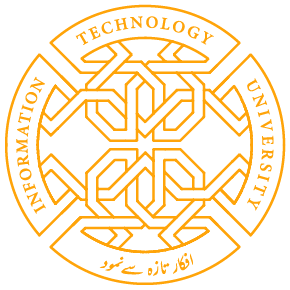 BUSN 175 Pakistan Studies and a History of Pakistani Institutions: This course introduces students to those institutions, which play a seminal role in framing policy, ranging from federal and provincial governments to the regulatory institutions. It is these institutions, which determine everything from lending rates, credit availability, tax exemptions, and preferable status for particular economic sectors. The course is taught in the context of Pakistan’s history and institutional development and also fulfills the HEC requirements for Pakistan Studies. BUSN 190 Basics of Electronics and Electrical Engineering: This course is offered by the Department of Electrical Engineering. BUSN 192 Introductory Programming: This course is offered by the Department of Computer Sciences. BUSN 195 Trends in Electronics Industry: This course is offered by the Department of Electrical Engineering. BUSN 240 Marketing Research & Analytics: This is a critical course linking the identification of market niches with the use of tools, concepts, and techniques to understand their behavior. The course focuses on helping entrepreneurs identify existing and potential markets, which maximize value. This requires a thorough understanding of market structure, market dynamics, and the appropriate marketing channels to be adopted such that the entrepreneur invests resources in market segments with the highest value addition. Candidates will use the research tools ranging from regression analysis to multiple discriminant analysis and learn to apply and interpret the results to differentiate markets and those segments, which generate the greatest profitability. This is extremely important when critical decisions such as product or service pricing are being considered as well as market segmentation. The course also provides an insight into how to differentiate products and services and the optimal channels for providing customer access. BUSN 250 Management Accounting: This course provides the substance of how start-ups and growing firms should plan and budget for costs and revenues and identifying the key cost drivers and the critical revenue sources for optimal decision-making. Therefore, the course focuses both on the main aspects of cost accounting, including planning, budgeting and costing, and their conversion into effective tools of control through formal systems, which are essential in growing firms. One of the critical weaknesses of start-ups and small businesses in Pakistan is the lack of effective formal controls. This places strain on informal and adhoc decisions with regards to costing which can lead to decisions, which do not maximize value. By understanding what are the cost drivers, proper budgets can be prepared for scrutiny by investors. And, by focusing on proper control systems, cost over-runs as well as planning deficiencies can be avoided. BUSN 255 Financial Management: This is a core course for all entrepreneurs, especially those involved in tech businesses. This course provides a critical understanding of the drivers of financial performance, which create value for the business. The idea is that by proper evaluation and selection of financial tools, techniques, and opportunities, start-ups and growing businesses can adopt a more scientific approach to creating a balance sheet, which maximizes value and attracts investors. The course adopts the perspective of an entrepreneur, especially one involved in innovation and technology, and provides the tools and techniques to carry out financial projections of sales, develop pro forma and cash budgets, understand investment planning by growing firms, and help entrepreneurs assess value by focusing on financial rather than accounting data. The course will also briefly cover topics covering the behavior of local debt and equity markets as sources of financing and as the basis for firm valuation from the perspective of the sponsor. BUSN 258 Industrial Relations: This course introduces students to the critical subject area of industrial relations, which is one of the weakest functions in HRM in Pakistan. It focuses on talent management from recruitment to exit, including performance evaluations, retention strategies, succession issues, remuneration, and contract negotiations. BUSN 260 Organizational Change: This course focuses on the dichotomy of management and leadership by interposing both the leader as manager and more critically the manager as leaders. Students will be exposed to theories of leadership and management and how this effects businesses in the real world. Special emphasis is placed on the critical importance or leadership as one of the elements of management and how good leadership can avail opportunities made available in an evolving market place and create value. The course also focuses on the challenges in managing the transition from conventional to more sophisticated business enterprises, which is a major issue of concern in Pakistan where governance at the boardroom level has proved to be one of the reasons why Pakistan has failed to produce a single multinational company in 70 years. These issues of leadership are equally applicable to small firms, where the need to reevaluate thinking in the absorption of new ideas and new technologies places a premium on the founder to be able to execute change. BUSN 265 Entrepreneurship: A unique course developed over many years to encourage new entrepreneurship as well as encourage traditional entrepreneurs to evolve their thinking into growing their businesses. The course uses specially designed contents to establish the benchmark for all entrepreneurship courses in Pakistan. The course uses a number of local cases to familiarize students with issues in entrepreneurship, followed by a project, in which students start a business and provide detailed business plans and then grow the business, with constant evaluation and feedback. BUSN 270 Operations Management: Contrary to widespread belief, operations and their planning are as important in businesses which provide services as those which provide tangible products. And for start-ups and growing businesses, the financing of operations creates a very critical period, which has to be financed; otherwise the business cannot move forwards. BUSN 280 Commercial Law: The emphasis of this course is on company law, including the registration of companies and the mechanisms and legal implications of changing the form of organizations whether a proprietorship, partnership, or limited liability company. Candidates will be exposed to the full rubric of existing laws, the shortcomings, and implementation as they impact on the setting up new businesses. The course also introduces students to the role of the regulatory agencies in Pakistan, especially the Securities and Exchange Commission of Pakistan (SECP), with which all companies must be registered, as well as the State Bank of Pakistan, which is responsible for financial institutions. The course also provides an opportunity for potential entrepreneurs to make their business plans more rigorous by pre-empting issues through an adequate knowledge of dealings in our legal system. Some of the related topics include security on advances, the treatment of intangible assets, and the laws covering the listing of companies. BUSN 290 New Product Development: This course takes the student from the A to Z of conceptualization of an idea into a product or service in the context of a given business environment. It focuses on issues of innovation and the acceptance of innovation and technological development with a commensurate ability to accept technological changes. Pakistan ranks very low in international indicators in both these areas. The course examines the introduction of new products—both tangible and intangible-as a result of innovation and technological changes. It also looks at the success of the country as a whole in contributing to product development and its impact on value addition. Special topics include the role of innovation in spurring the development of new firms, such as in fintech, retailing, and “green” businesses. BUSN 340 E Business and FinTech: This course primarily focuses on electronically handling businesses as in this phase of time it has become significantly important to use and infuse the electronic infrastructure for the growth of the business. The growth of markets and businesses as a result of the evolution of technology, from simple payment systems to sophisticated international transactions in finance, marketing, and operations. The focus is on the link with public policy, regulation, and the impact on comparative and competitive advantage. The course will also include some details of E-commerce, which is considered to be the sub-set of the E-business. This course will also quip the candidates the practicality of the electronic applications, which are the pre-requisites to this course. BUSN 345 Digital Marketing: This course introduces students to the special topic of the application of different technologies from different periods to the marketing function. Students will learn about how marketing strategies and channel management can be influenced by adopting specific technologies for more profitable promotion and positioning. BUSN 350 Taxation: This course looks at taxation in Pakistan. Additionally, the tax provisions associated with new businesses are of special importance. An entrepreneur should be fully aware of tax waivers and tax loopholes to reduce his or her fiscal burden especially in the critical growth stage of the business, as well as the tax implications of different financing sources. By the end of the course candidates will be familiar with interpreting financial statements for business purposes. BUSN 351 Risk Management: This course introduces students to the broad area of risk management from multiple perspectives. Students will be taught about measures of risk and look at firms in the context of different risk profiles: economic, political, operational, and especially financial. The course will also show how diversification of investments as well as products impacts on risk by following the way that projects impact on business risk. BUSN 360 Internship 1: Summer Internship. This will be formally evaluated by the employer and will require a short report to be submitted by the student. The internship can be undertaken in an existing organization with which the student is associated provided he or she has a specific assignment to work on. BUSN 362 D-Lab: This time provides an opportunity for students to work in an environment which has been designed to support their entrepreneurial activities in management and technology. The Lab provides services support allowing the students to experiment with ideas as well as work on the projects that will be finalized in the final year. BUSN 370 Supply Chain Valuation: In this course, we examine the integral components of operations in business firms in different sectors and how the ability to produce a product or provide a service interacts with the supply chain which can create so much value if it is properly used and captured, for example in retailing, e-business, and other sectors, which are very innovative but have not been given proper priority in the national agenda such as defense and aviation services. BUSN 372 Project Management: This course focuses on project management from the specific perspective of entrepreneurial ventures. Topics covered including project selection, financing, risk management, human resource management, real options, and exit strategies. The course takes an in-depth look at project selection by introducing dynamic decision-making through real options. It also focuses on the correct methodologies to adopt in order to identify relevant cash lows and discount rates. The course is extended to include various dimensions of project management: from operations, to financing, risk management, human resource management, and technical issues. Although the course is applicable to all start-ups, it is especially focused on critical decisions taken by tech companies as they grow and take on new ventures. BUSN 382 Managerial Negotiations: This course focuses on how to enter into negotiations with entities, which include suppliers, buyers, and financiers. This area is important in order to start or grow the business. The course looks at negotiating techniques, the role of information, power, business perceptions and the negotiating conceptual framework, as it is applicable to both the private and public sector. In this ever-changing multi culture environment, the businesses are growing in every phase of direction. For this very important change it is the requirement to learn to negotiate and mediate with the parties as mentioned. The course focuses to built the core concepts, which will equip the candidates, the power of negotiating and mediating. This will help them in dealing with the B2B and B2C environment. BUSN 390 Language Lab: All students are expected to choose one foreign language from Chinese (Mandarin), French, Spanish, Turkish, German, Russian, or Arabic. BUSN 395 Business and Technology Strategy: This course provides a series of strategic frameworks for managing high technology businesses. The emphasis is on the development and application of conceptual models, which clarify the interactions between competition, patterns of technological and market change, and the structure and development of organizational capabilities. This is not a course in how to manage product or process development. The main focus is on the acquisition of a set of powerful analytical tools, which are critical for the development of a technology strategy as an integral part of business strategy. These tools can provide the framework for deciding which technologies to invest in, how to structure those investments and how to anticipate and respond to the behavior of competitors, suppliers, and customers. The course should be of particular interest to those interested in managing a business for which technology is likely to play a major role, and to those interested in consulting or venture capital. BUSN 430 Political Economy of Pakistan: This course hones the necessary skills of interpreting economic information in the context of the growing potential of opportunities for Pakistan. It is an essential course for those starting new businesses since the core focus will be on the economic implications of CPEC and Pakistan’s economic linkages to its neighbors as well as the central republics of the former Soviet Union. BUSN 450 Firm Valuation: This course adopts the perspective of an angel investor or venture capitalist. It presumes that the investor is looking at the risk=return profiles of potential investments in start-ups and growing firms, with a special emphasis on tech firms. Hence, issues like firm diversification, investor diversification, and the different stages of financing are all covered. The course takes the investor through the entire spectrum of financial opportunities: financial assistance at the start-up (incubation) phase, assistance at the growth (accelerator) phase, as well as an exit strategy. The course will teach entrepreneurs how investors factor in risk through differential discount rates and how investment need not necessarily be in a financial form but could be the provision of the completed product, service, and infrastructure. The course also focuses on methods of valuation for prospective investors, especially focusing on controlling interests in equity and the treatment of debt. BUSN 460 Internship 2: This is the second of two internships that must be undertaken by the students. BUSN 465 Promoting Start-Ups: This course looks in detail at what conditions need to be provided by policy-makers and what conditions need to prevail in markets for the launch of a start-up. It is a cross-functional course using concepts from different areas in management to explain how start-ups have been initiated in different environments and whether similar conditions can be created in Pakistan. The course focuses on a collaborative approach among the various players in innovation and shows how synergy can lead to greater effectiveness. BUSN 475 MIS and ERP: This course has its significance in equipping the experienced students’ lot at EMBA with the real usage of information processing for better decision making in business projects completion and routine workings. This Decision Support System formation is the essence of management information system (MIS) workings and the students need to be provided with insights as to how timely and accurate information can aid in well-directed decisions in business scenario. Business process modelling is another outcome of conceptual implementation and implication of MIS in a pursuit for making better executive support systems. This course looks at the use of IT in organizations as well as markets from a managerial perspective. The focus is on how IT can create competitive advantage and contribute to innovation both within the firm and the outside environment through E-Systems and e-governance. The course also looks at the changing nature of Enterprise Resource Planning in the last decade. BUSN 480 Intellectual Property Rights and Patent Law: Property rights is one of the most underdeveloped areas in the rubric of law in Pakistan, made worse by the absence of clarity in interpretation and implementation, and ignorance on the part of those who develop new ideas or products. This course is entirely focused on the issue of Intellectual Property Rights, and the laws relating to trademarks, copyrights, and patents. Candidates will have full exposure to the existing laws and the lacunae in these laws. The objective of this course is that graduates will be far better informed than the majority of entrepreneurs about their legal position, especially those involved with tech firms. Indeed, it is a key objective of the course to point out that entrepreneurs suffer simply because of a lack of knowledge despite having the legal system favor them. Hence, the course also looks at issues in litigation and redress through our legal system. BUSN 485 Business Sustainability: This course epitomizes the philosophy of the entire program, namely the application of business to technology and technology to business. Thus, the course looks at the impact of technological acceptance and business innovation on value and the changes resulting as a result of the move up the value chain. There is a special focus on incentives to innovate, accept new technologies, and a change in managerial mindset towards their effective utilization. This is critical. The World Economic Forum ranks Pakistan in the last decile of countries that are at the forefront of business sophistication, acceptance of innovation, and adaptation of technology. Consequently, this course will also focus on the barriers to acceptance and how companies can move forward to overcome these barriers. BUSN 488 International Business: This course provides an international dimension to management by forcing students to think beyond local market conditions. It shows how managers succeed in multinational enterprises, reasons why companies cross borders, the advantages of diversification, as well as the inherent risks involved in multinational business. The latter includes exchange rate translations, sovereign risk, and changing technologies. BUSN 491 Business Proposal Writing: This course teaches students how to prepare the content of a business plan in a way that will appeal to potential investors. The course focuses on the language, material, and supplementary information required to engage in discussions which will lead to interest from an investor or alternatively allow the student to provide clear and concise reports to future employers. BUSN 498/499 Research Project: All the students must undertake a research project which will aim at giving an opportunity to students to develop a research paper on an organization and its workings in particular. This paper would specifically require a problem statement and then a proper analysis followed by research findings and related implications/solutions. The project is an opportunity for the candidates to utilize the expertise of the Faculty of Business and Management. Therefore, the research project can comprise one of three acceptable options: a pure research thesis; a project which is focused on the creation of a business venture; or a detailed case study of an existing project.